How powerful is the engine? How much room is in the back seat? 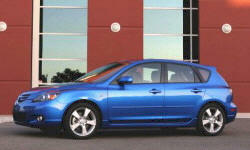 Get the 2006 Mazda Mazda3 specs. Curb Weight 2729 lb. 2779 lb. Fuel Capacity 14.5 gal. 14.5 gal.